We're a few minutes walk from St Margarets train station (South West Trains). Turn left out of the station and walk down St Margarets Road. The H37 runs to and from Hounslow and Manor Road (via Richmond). The nearest stop is St Margarets station, we're a short walk down the road. The 969 bus runs to and from Whitton and Roehampton, alight at St. Margarets station. From Twickenham Rd/A316, at the St Margarets roundabout, take the exit onto St. Margarets Rd/A3004. We can be found on your right hand side. There is metered (two hours max) and voucher (four hours max) street parking available. There are also two patient parking spaces at the back of surgery, off Broadway Avenue. We’re happy to answer any questions you may have or to arrange an appointment for you to visit us. 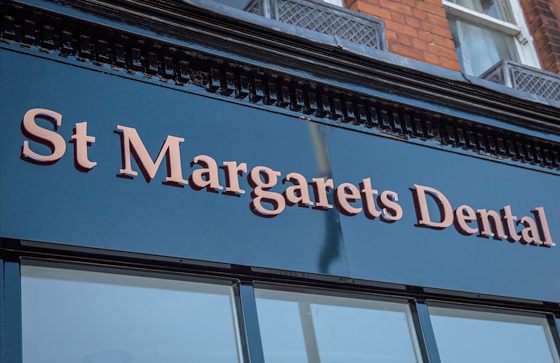 Email us at info@stmargaretsdental.co.uk or call us on 020 3904 0230.